•Do you have pain? Anger? •Do you have that feeling of emptiness? •Is something missing in your life? •Do you feel at the end of your rope? •Are you in an unhealthy relationship? •Did you grow up in a dysfunctional family, and still bear the scars, of unresolved issues? •Is your life out of control? I will show you how to solve your issues and your problems. I will show you how to get rid of the strife, encourage yourself. Get control of the things that are out of control. How to keep your joy and if you follow what in this book your life will be changed. "Why should you trust me"? you might ask. Well, I've walked this journey. 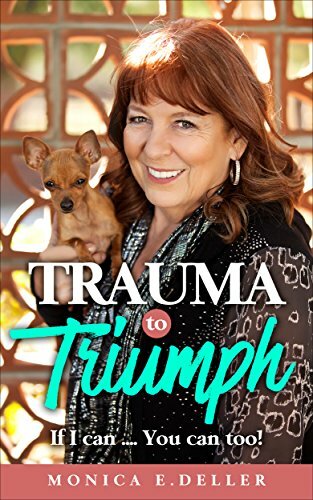 I've been through the trauma and now I am triumphant. Your self-esteem will grow, and you will become confident. You will receive HOPE. Don't put off reading this book, you can't afford to let another day go by without seeking what is written in these pages. Don't miss out on opportunities or doors that would open to the new you. Don't be the person who misses out on happiness, joy, peace and that of reaching your destiny. Become the kind of person who stands out, who oozes confidence. Become the person that others will look up to as a mentor. Become the person who knows where they are going and has an action plan on how to get there. What's stopping you from purchasing this book and experiencing how it impacts your life?